Welcome to June! And welcome to National Seafood Month. While I could wax poetic about tuna and oysters and mussels, today I want to extol the virtues of a wonderful west-coast food: spot prawns. What’s a spot prawn anyways? 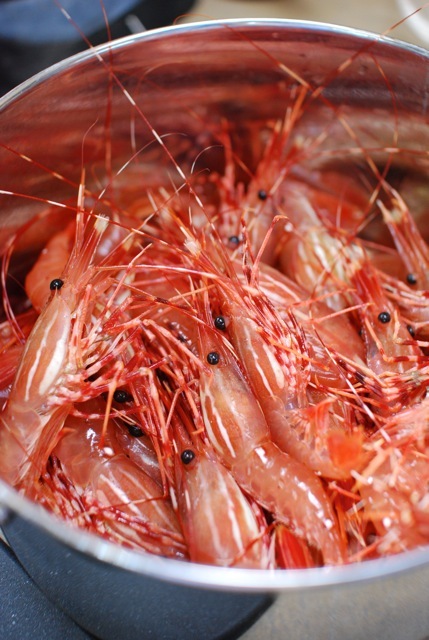 Spot prawns are the largest of the 7 commercial species of shrimp found in Canada’s west coast waters. The prawn’s body colour is usually reddish brown or tan with white horizontal bars on the shell and distinctive white spots on the first and fifth abdominal segments. Large females can exceed 9 inches (!!) in total length. Is that a girl prawn, or a boy prawn on my plate? 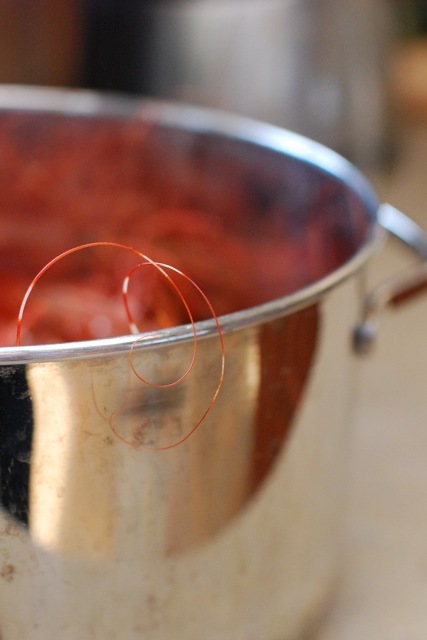 What do the conservationist have to say about spot prawns? Wild, trap-caught, B.C. spot prawns are a SeaChoice “Best Choice” option based on the five sustainability criteria used for our fisheries assessments: inherent vulnerability to fishing pressure; status of wild stocks; nature and extent of discarded bycatch; effect of fishing practices on habitats and ecosystems; and effectiveness of the management regime. Horray – guilt free dining! 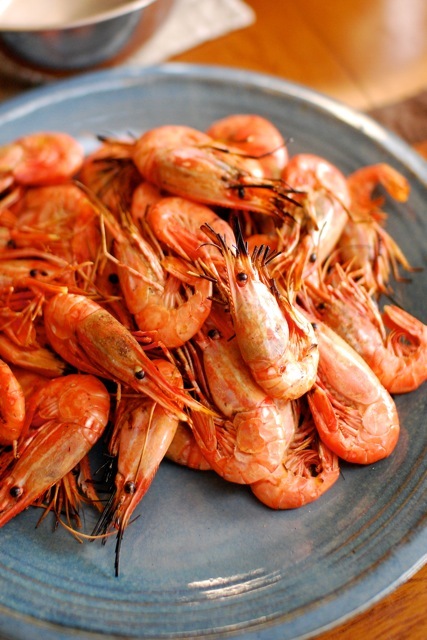 MOST IMPORTANTLY: What do spot prawns taste like? 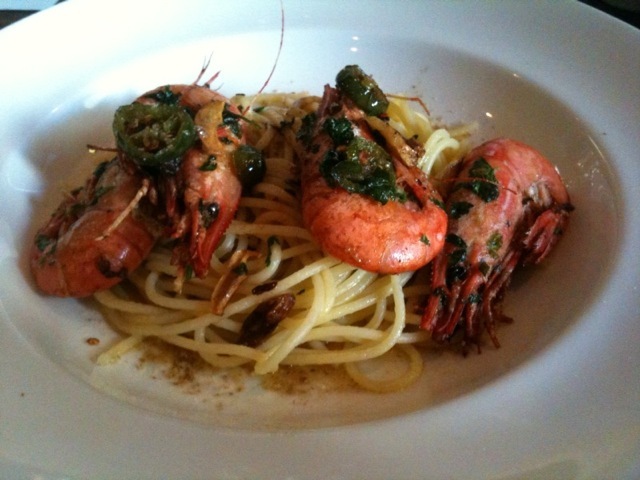 The spot prawn is known for its sweet, delicate flavour (without a hint of fishiness) and firm texture. The fresh spot prawns I have had this year are amongst the best prawns I have ever eaten. Spot prawns are nothing like the bland and mushy tiger prawns that are imported here from asia. Vancouver magazine named spot prawns their 2008 Ingredient Of The Year. So, did you eat them or what? This was part of an overall stellar meal at Zambri’s – a victoria restaurant institution, and one of my favorite places to have dinner. This dish was very simple and very very delicious. Think fried hot peppers and golden garlic, some bread crumbs, the prawns and a whole lot of browned butter. Divine. A few weeks after the meal at Zambri’s I found myself on the docks in Lund, a little town on the Sunshine Coast. I was in Powell River visiting my friends Janet and Graham, who also happen to love good food. Graham took me down to a boat where we bought 2 pounds of live spot prawns for $12! Taking my precious cargo home, we put the prawns in a pot and into the fridge, hoping the cold would stun them. This gave me a chance to check out the prawns in more detail. They are surprisingly colourful, and have a wicked sharp serrated beak/nose–something to be careful of if you are handling them in your home. From the fridge they went right onto the BBQ for a few minutes, while I prepped this scampi sauce (hmmm… maybe I love spot prawn season because I also love butter!?). From the BBQ, the were heaped on a platter and instantly devoured by five hungry people. Nobody seemed to mind taking the heads off – it’s surprisingly easy, and kind of satisfying in a “eat what you kill way”. Don’t forget to keep the heads and the shells for stock. I still have a few weeks before the close of the spot prawn season. I’m thinking of trying this recipe put together by Vancouver chef Rob Feenie. Who wants to come over? ps – Graham also shared some of this stilton (fresh off the plane from England), which was so very yum – the perfect blend of sharp and smooth (and yes, I broke my own “no cow cheese rule” just for a little bit of this imported beauty. This makes me want to be on a plane right now, leaving my land-locked life behind . . . Though, weren’t we going to have a “no effort” night? Now I want to do both… cook this, and then go out to a wine bar!! I have a nice bottle of bubbly here waiting for us! Very well-chosen subject matter, very well handled! Yum! Yum yum in the tum! Loved it!!! !